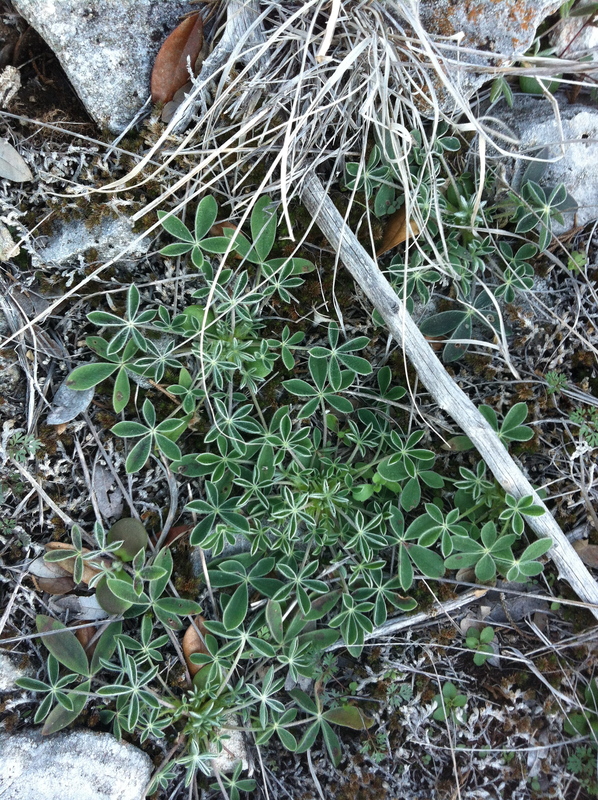 Major rain fell on San Antonio, Austin and in the Hill Country this week, raising levels at streams, aquifers and rivers in Central and South Texas and hopes for a 2012 wildflower bounty this spring. 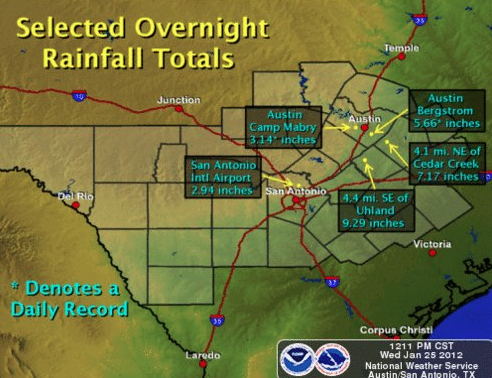 Austin Bergstrom Airforce base saw a record 5.66 inches. In San Antono we logged almost three inches–2.94 to be exact. 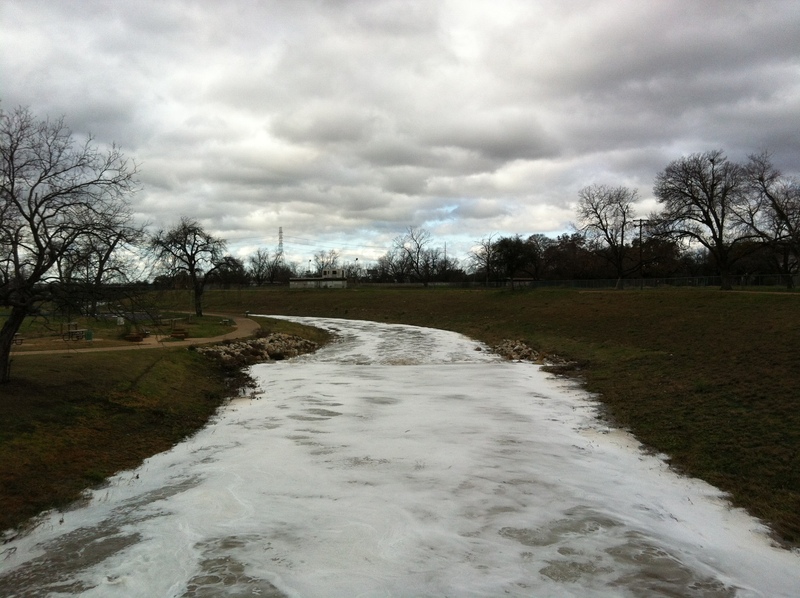 Out on the Llano River in Kimble County, about an inch-and-a-half doused the landscape. Wildflower and butterfly fans are keeping track. The historic Texas drought continues, yet steady, periodic rains this winter have the capacity to convert a pent-up seedbank–the soil where seeds drop and await optimal conditions for germination–to a spectacular wildflower show this spring. The drought’s kill-off of grass, trees and forbs also make for less competition for hearty native bloomers. Early risers like bluebonnets, pink evening primrose, and Cowpen Daisy already dress the landscape with rosettes and eager seedlings. Will 2012 offer a bounty of blooms and butterflies? Dr. Simmons counsels cautious optimism. The caveat: invasive species also lurk and will aggressively compete for available soil, nutrients, sun and water. A recent 3-inch rain in San Antonio: winter showers mean springtime flowers--and butterflies--on the Mission Reach. 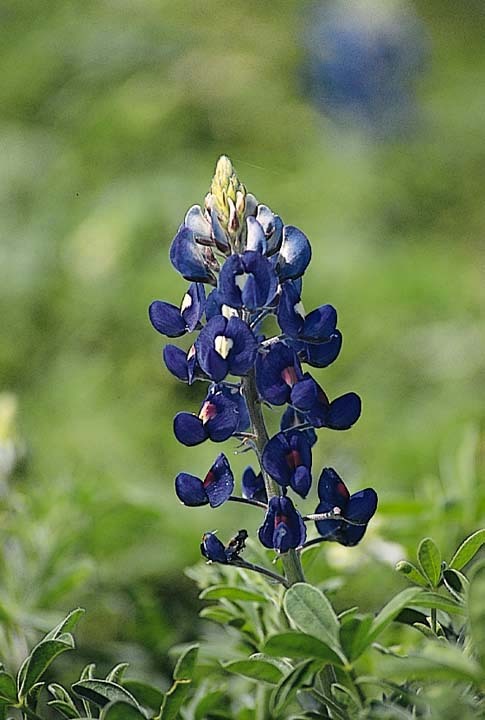 The drought also stunted many wildflowers and inhibited their seed production last year, David Rodriguez, Bexar County Agent of the Texas Agrilife Extension Service points out. “Wild populations are going to take a while, but seeded populations started in September-October are looking really really nice,” he said. The National Weather Climate Prediction Center is predicting “persistent” drought at least through April 30. Given the inaccuracy of longterm weather forecasting, we’re keeping a hopeful watch. Thanks! I’m glad I found this place. My daughter (7), and I (54) are looking forward to a nice spring wildflower and butterfly season! Let’s hope and pray for the best.